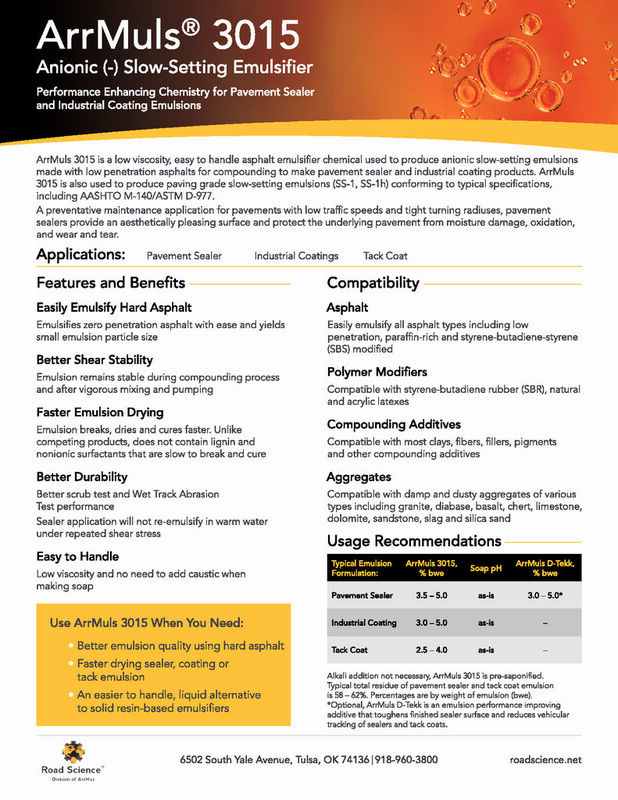 Prevalent uses of anionic emulsions include tack coats, and compounding with dry additives to make pavement sealers and industrial coatings for spray applications. All three applications present particular challenges. Pavement sealer and coating emulsions must have the highest degree of stability in order to withstand the compounding process, and provide a lengthy shelf life for the end product. They must also have a very small and narrowly distributed particle size, for easy and effective application through minute openings in fine spray nozzles. 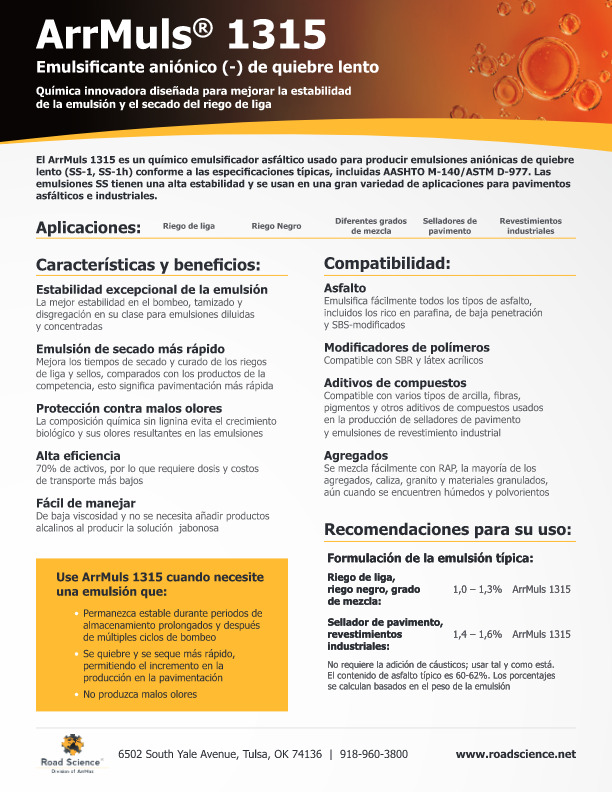 After application, both must dry and cure quickly so that the film develops strength and is not susceptible to damage. 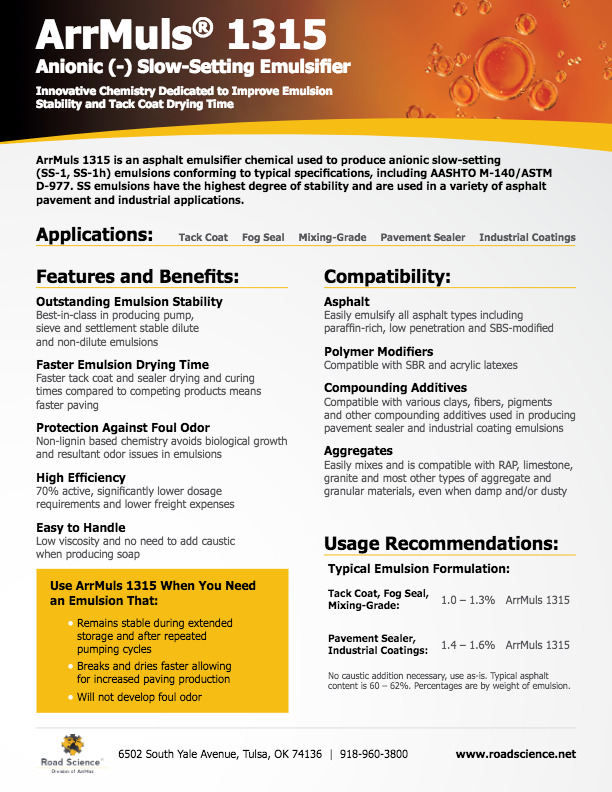 Asphalt tack coat emulsions account for the majority of anionic emulsion use. They have been used for generations by the paving industry to build roads and function as a glue to bind pavement layers together so that the entire pavement functions as a monolithic unit, able to withstand the stresses of traffic and the environment. Until recently, there has been little change in tack coat technology. Nowadays, the paving industry is demanding better performing tack coat, particularly in how it adheres to the road surface. Traditional tack coats are susceptible to “tracking” which occurs when construction vehicles drive onto the road soon after the tack coat has been applied. The tack coat adheres to the vehicle tires and is carried or tracked away onto adjacent roadways. Tracking is a problem because the tack coat is not where it is intended to be. This reduces pavement strength, quality and life span, and can also cause safety concerns for motorists as well as unsightly aesthetics. 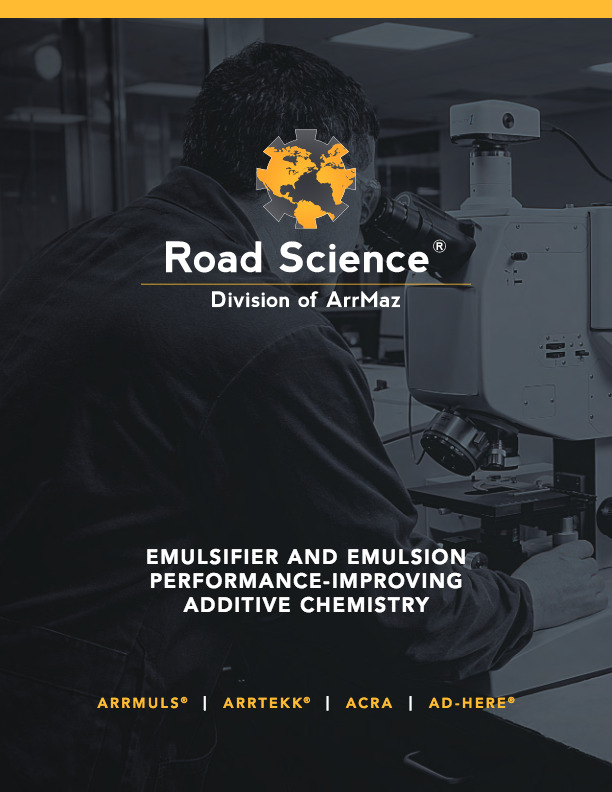 Road Science’s ArrMuls® anionic emulsifiers have been engineered with these particular challenges in mind. Our slow-setting emulsifiers for pavement sealers and industrial coatings can withstand the highest degree of shearing and mixing stresses for easy and efficient compounding in every batch. Added long-term stability features provide longer product shelf life and confidence in quality through time. Small emulsion particle size is characteristic, even with harder asphalt base stocks, for easy and even application through fine spray nozzles. 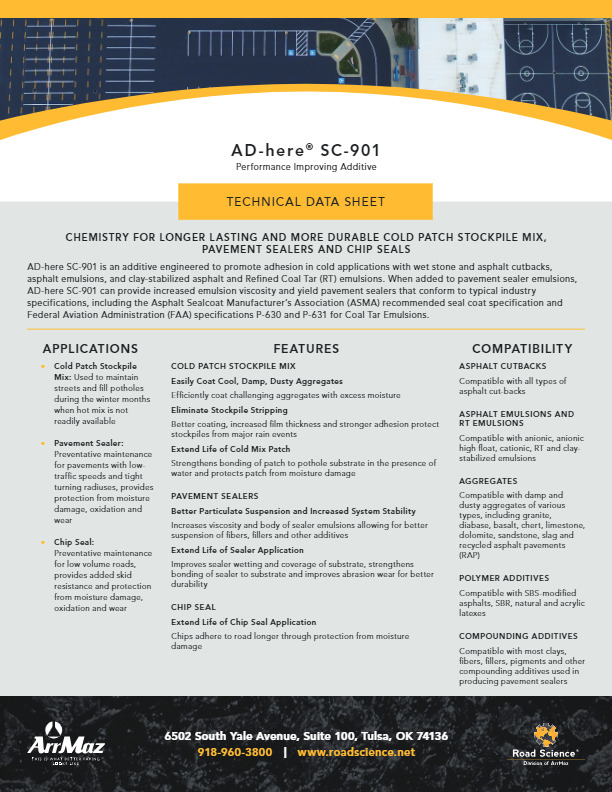 ArrMuls Tack Technology (ATT) addresses the industry challenge of tack coat tracking by offering emulsion producers an easy to use two-part chemical kit that transforms paving grade asphalt into a non-tracking tack. Eliminating tracking not only makes stronger and longer lasting pavements, but also allows for faster traffic return versus traditional tack coat, which benefits the contractor with faster paving production rates.